Established in the year 1996, we, “J. 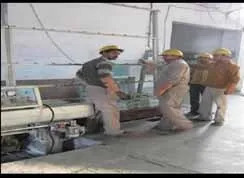 K. International”, are engaged in manufacturing an array of Toughened Safety Glass, Bending Toughened Glass, Double Insulated Glass, Curved Tempered Glass, Bullet Proof Glass, Laminated Safety Glass, Automotive Glass, Skylight Dome and many more. Our offered products are widely known in the market for outstanding performance and efficiency. Moreover, we offer these products in various sizes, colors, thicknesses, designs and patterns as per the requirements of our valuable clients. We are supported by a prolific team of professionals in each department. Our team members work hard to maximize the level of customer's satisfaction and to achieve the business goal of our organization at the same time. We are well supported by our state-of-the-art infrastructure facility and thus carry out operations in an organized and effective manner. 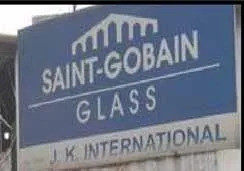 Today, we have come a long way and have become a hub of integrated activities working towards providing value added glass products. Our team works with complete dedication with each other and due to their efforts, we have gained a good reputation in the market. We have progressed under the visionary guidance of our mentor, 'Mr. S. S. Kang'. With his wide industry experience and rich knowledge, we have been able to achieve the desired goals. Today we are occupying a prominent position in the market which has come our way after a period of intense hard work. We understand our customers' requirements first and then initiate our production process. Gobind Glass House, Ludhiana, Punjab. 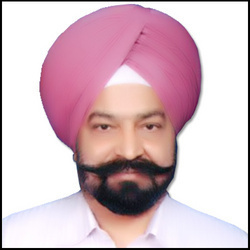 Under the guidance of our mentor Mr. S. S. Kang, we have been able to serve numerous clients and industries. He is an MBA professional with a postgraduate degree in economics. He has worked for more than 25 years with a very big and renowned Indian consumer good company at a very senior position. His vast experience in production planning has helped in gaining client confidence. A perfect planning leaving space for contingencies has helped to meet unforeseen market demand & satisfy the emergency requirement of the customer. 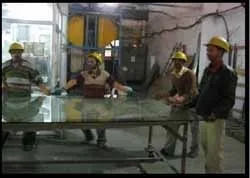 J.K. International has been serving the customers in an effective and proactive manner to fulfill their varied requirements of high-quality Laminated Windscreen, Toughened Glass, Thermal Insulated Glass, Curved Glass, Security Glass. Our commitment to quality and customer service has enabled us to gain a strong customer base all across the nation.